According to a press release that the U.S. Census Bureau shared late last month, 11.7% or 35.9 million U.S. residents moved their primary residence in the 2012-2013 year. This translates to a drop of about 12% compared to this same time period from the year prior. When comparing the data found in the Geographical Mobility report published in 2013, these statistics show 2013’s numbers to be very similar to the 11.6% reported in 2011. 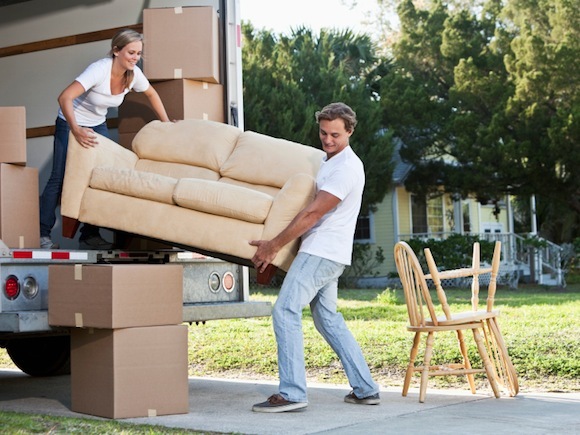 Researchers found that 48% of Americans claimed that the move was housing-related, 30.2% was a result of family, and 19.4% said their move was fueled by employment-related reasons. What do these moving trends mean for multifamily? We have three solid years in which moving trends have remained steady or improved nationally, with certain specific metropolitan areas seeing enough growth to maintain the averages for their whole region. At 13.4%, the Western region of the United States has actually seen the highest percentage of all movers. This is followed by the South, who received 12.8% of our nation’s movers, and the Midwest who turned in an even 11%. The region with the lowest mover rate is the Northeast, who had 7.8% in the last year. According to these trends, industry professionals can expect to see at least these same percentages with a slight improvement being the most likely result of all the new activity planned for 2014. Multifamily News identified that two-thirds of today’s movers are staying within their same county of origin. In addition, 40% of these movers are staying within 50 miles of their current home. To the multifamily apartment owners or managers, this means that the bulk of their new renters are likely going to relocate from a relatively short distance. The method in which we’re planning to market our properties needs to hone in on this close-proximity trend. When it comes to further segmenting this short distance market, it has been found that existing multifamily residents are more likely than current homeowners to move. Data for 2012-2013 reports that 24.9% of renters moved throughout the year, but only 5.1% of homeowners did the same during this time period. Outside of regional differences, analyzing other areas of data gives property owners and managers a way of refocusing specific communities’ existing marketing plan so that it identifies patterns of the most likely renters in 2014. Job relocations, for example, which account for about 25% of our total movers, have a tendency to pay higher rents initially before settling into any community permanently. This should call for a differentiated marketing approach. Is your multifamily real estate market already experiencing any of these trends?